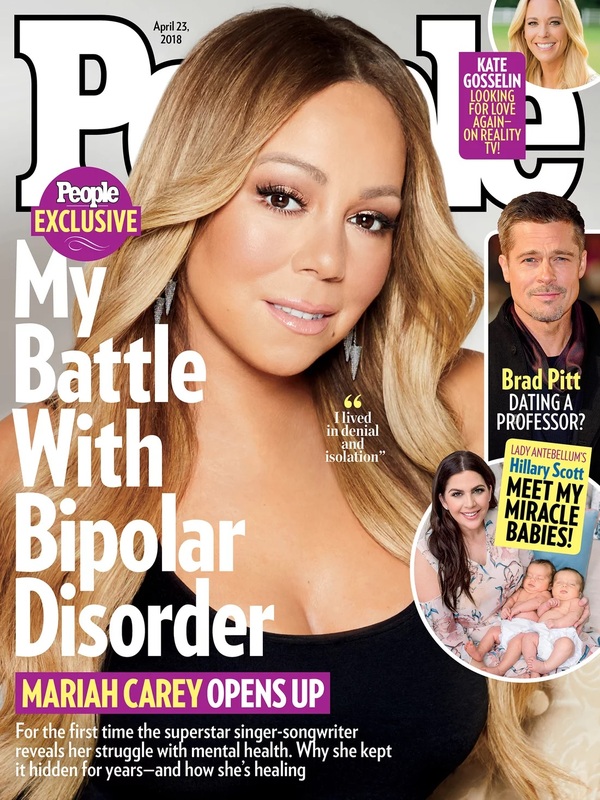 This week, Mariah Carey opened up about her battle with bipolar disorder to People magazine. 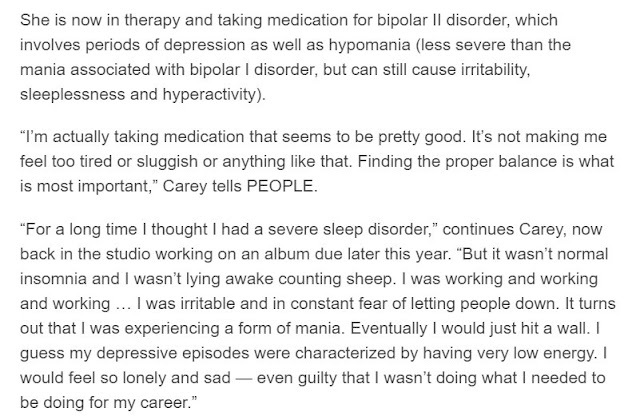 This was very commendable of her, and shows great courage. There's a horrible stigma and ignorance surrounding the condition in which sufferers are pegged as "crazy." 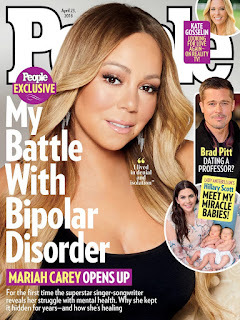 Mental illness is no joke, and someone of Mariah's caliber and status could actually help those too embarrassed to seek additional help.